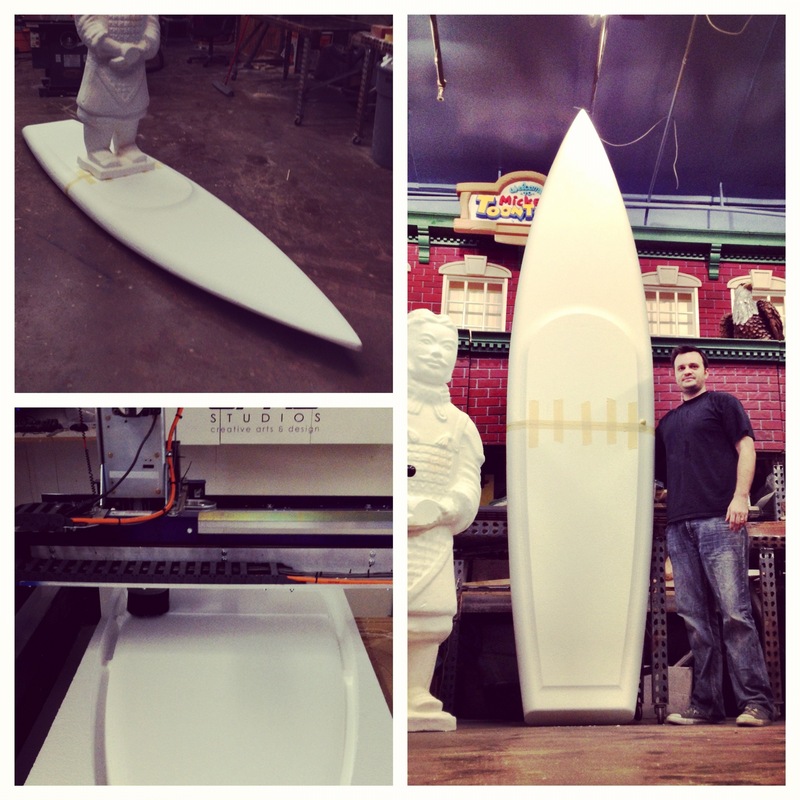 Then to make a 12′ long board like I wanted. I had to make a front and back section to cut from EPS Foam. I used the doublesided cut feature in Vectric Cut 3D and made top and bottom for the front half, and top and bottom for the back. I added tabs to hold it in place durring cutting, this was more crucial on the front, as it curves up slightly, and therefore wasn’t cutting a flat plane. I finished the board with epoxy resin and fiberglass. I actually made two, because her sister wanted one too. Here are the project files (.stl 3D files) Included are 3 files. One is the complete board so you can chop it up in your software of choice (I recommend Vectric Cut3D or Vectric Aspire). The other two files are section 1 and section 2 (if the board were split to fit 2 – 4×8 sheets. PaddleBoard – by JPro Studios – www.jprostudios.comPlease feel free to use this file for personal use. And for *Gifts for friends and family. But please do not sell this file, or anything produced from this file including itterations.For non commercial use only.